MUKTI celebrated the 10th Annual programme of the Talented Students Sponsorship (TSS) project on 26th November 2016 at West Bengal Voluntary Health Association (WBVHA) Tower, Kolkata. The programme was inaugurated by Dr. Tapan Kumar Mishra, Forest Ecology Specialist and Retd. Principal, Vidyasagar College, Kolkata. Among the Guests present were Dr. Tarun Naskar, Prof of Department of Mechanical Engineering and Retd. MLA, Jadavpur University; Dr.Visvarup Chakrabarti, Agricultural Specialist; Mr. Nabankur Sen, IT Specialist; Sri. Sankar Halder, President of Mukti and Sri. Asis Halder, Secretary of Mukti. All the guests were welcomed and felicitated with flowers and acknowledged for their presence and continued patronage. The programme had the presence of other eminent sponsors and associates of Mukti, TSS alumni, current TSS students, and the newly selected students and their guardians. The year 2016 added more meaning and colours to the programme when the alumni students and the continuing students from TSS came together and organized this programme. Apurba and Bratati, two successful alumni of the TSS project, had designed the programme and hosted it. Both of them gave their introduction and presented their story of their association with Mukti. 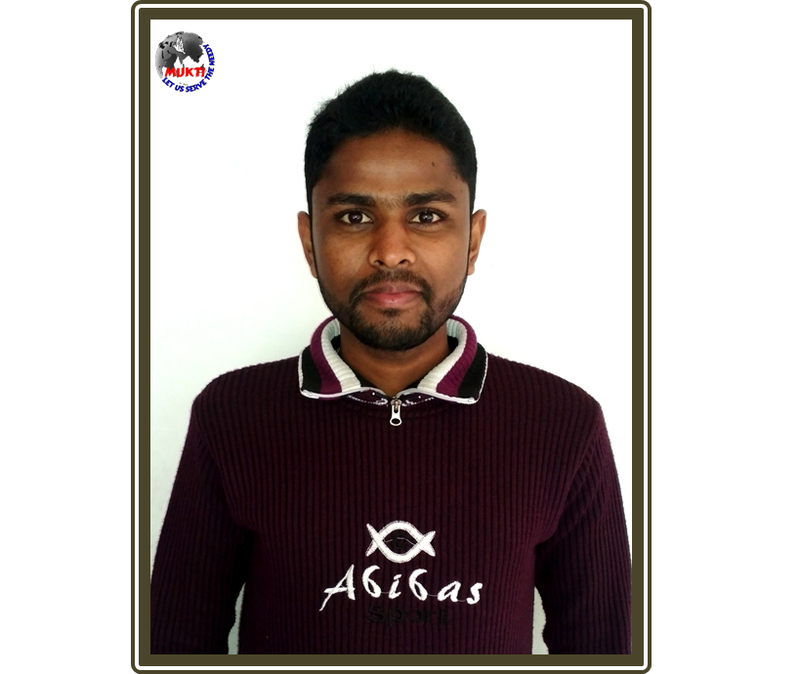 Apurba completed his studies under sponsorship and became an engineer and is currently working in a reputed company in Kolkata. Bratati, another success of TSS is an English teacher in a reputed school in South Kolkata. It was indeed a pleasure for all to hear them and to know more about Mukti and TSS from the words of the student. After the lamp lightning and welcome song, the guest of Honour, Dr. Mishra, was requested to speak a few words for the students. Dr. Mishra was overwhelmed by the efforts of Mukti. He was very glad to have been invited to chair this occasion. He encouraged the students to make contributions in the field of development in their own ways and welcomed and felicitated the new sponsorship holders. The programme also had long time associates of Mukti, Mr. Bimal Saha from Garden State Cultural Association, Mr. Aurottam Kundu and Dr. Soumyendra Kumar Bagchi. All of them were happy to meet their sponsored students and also with the new faces of 2016. Mr. Asis Halder, Secretary, gave a welcoming speech to all and shared a brief of the TSS project. He was equally delighted with the presence of the alumni and the continuing students in the programme and their efforts. In the year 2016-17, a total of 234 applications were received from across South 24 pgs, Howrah, Purulia, Bankura, Hooghly, Midnapore, Burdwan, Dinajpur Nadia districts of West Bengal and from Nagpur, Maharashtra. A total of 92 students were shortlisted from various backgrounds who were thoroughly interviewed by the panelists. Finally, 26 students were shortlisted and 4 students from the previous year’s applicant list were lined up for receiving sponsorship. The final list has been circulated to our various sponsors and selection is made on individual choices by them. MUKTI informs the donors about the various donation categories and donation options to be made through online/ bank transfer/cheque payments after receiving confirmation of selection of the students. Students are disbursed sponsorship amounts on quarterly basis and 10% percentage is deducted from the donation made by sponsors for meeting the administrative costs of the project. During the session 2016-17, a total of 113 students are receiving sponsorship from various sponsors from across the globe. These students come from poor financial backgrounds. Sponsorship is being provided to students studying in Higher secondary classes, graduation, engineering and M.B.B.S. degree. Till date MUKTI has been able to facilitate sponsorship to approximately 400 students. Almost 54 sponsors as individual and institutional sponsors are already in the database of Mukti who have been continuing their support to students. During this ceremony, a short break was arranged alongside a brief presentation showing the various activities of Mukti and TSS programme. Everybody enjoyed the show while having their cup of tea at their tables. 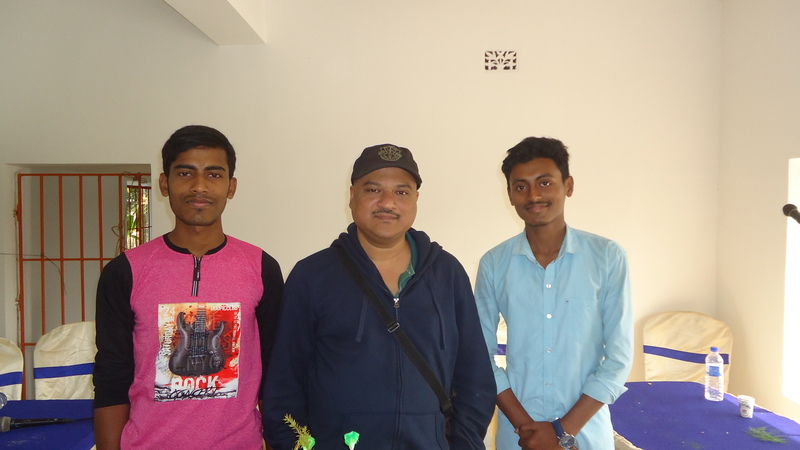 Mr. Saha, Mr. Sen and Dr. Bagchi expressed their contentment at becoming part of this annual programme and thanked the TSS team for a wonderful ambience with the students. A total of 20 students selected so far by various sponsors were felicitated by the present dignitaries. The program ended with thanksgiving by Mr. Sankar Halder, President, to all of them who had contributed to the success directly and indirectly. Thus, it also made our commitment stronger for the coming years to extend support to more and more deserving students. We are very thankful to all our sponsors for having faith in the TSS team and encouraging us to keep up our efforts for this noble cause.